It’s time for one of our most popular giveaways of the year…. Our Favorite Things Giveaway! 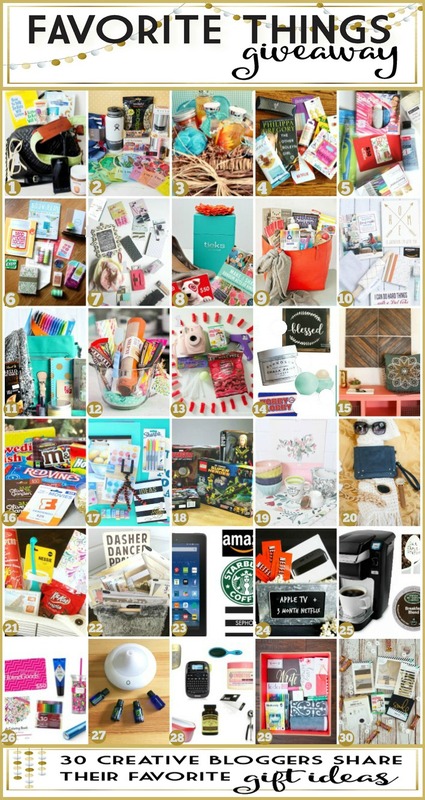 We love collecting things that we love and we enjoy getting new ideas for gifts from the other 29 bloggers that are giving away some of their favorite things too!! Check out the collage of favorites below. 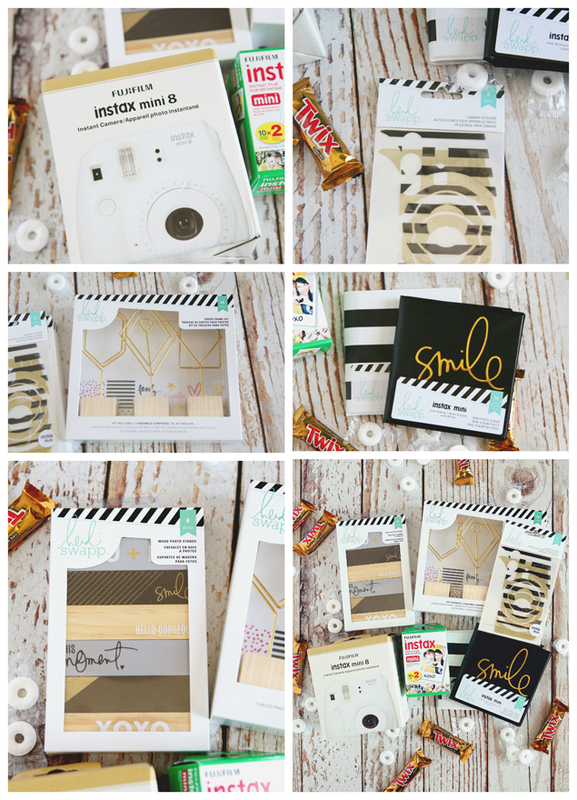 Scroll to the bottom to see the details for OUR favorite things giveaway. Enter to win our giveaway. Hop to all the other sites to enter to win their favorites! You’ll definitely want to HOP to each site to enter to win their gift and to look around, and follow along on your favorite social media. We’d like to take a moment to recognize a fellow blogger, Joan Hayes, who we lost unexpectedly over a week ago. She was supposed to be a part of this Favorite Things event, and suddenly passed away from a heart attack just before this went live. 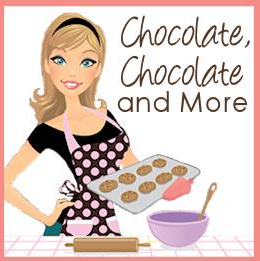 She was a single mom with 3 children, and the website she ran, Chocolate, Chocolate, and More, was her main source of income for her family. Please take a moment to visit her site, follow along on your favorite social media, and SHARE her recipes with others so it can continue to be a blessing to her family. Here is a close up look at what we are giving away. We’ve always LOVED the Instax Camera… we’ve even given a few away before. 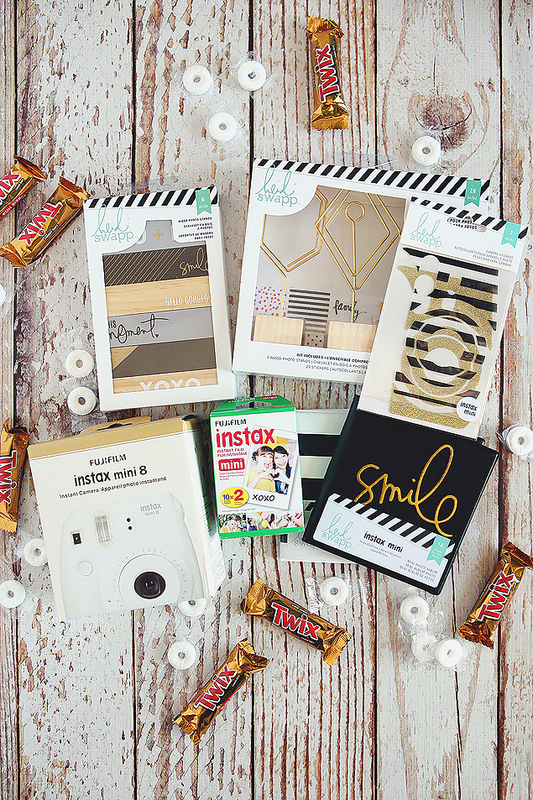 Well Heidi Swapp has all this new stuff out and we just knew we wanted to center our prize all around an Instax and fun accessories! A very nice giveaway. Sure could use those photo frames. Thanks for sharing. Enjoyed Signing up on each site for Fovorite Things Giveaway , But I Did Not Notice When Drawings will Be , Please Post . THANKS .! I have seen this camera every where and would love to win it for my granddaugher! I would make a wonderful gift for Christmas! Love your site ! What i love about instant photography is that it is completely and utterly a captured moment. There is no editing.. cutting bits out or smoothing over ‘imperfections’. It is (what i believe photography is all about) capturing a reflection of what reality once was and it does that in the most raw and beautiful way. Sweet Giveaway! I LOVE the FujiFilm camera. My friend has one and I have always wanted one since. They are perfect for parties! Thank you so much!! You and everyone involved are amazing for giving us all these chances!! I’m moving soon and am so into doing pictures allover my house and have all these idea that I am trying to figure out how to make come to life so this would pretty much be the answer to my decor dreams!! Thank you again for the chance! Good luck everyone!!! Thank you so much for this chance for your giveaway!! I love the camera! Looking forward to seeing your posts on fb!! i love the camera! Entered and hope to win.